The Point Loma Nazarene University Women’s Soccer College Prep Camp is inviting all female soccer players 15 years old and above. This soccer identification camp allows the participants to display and improve their skills. It is also an opportunity to get to know the Point Loma Nazarene University women’s soccer coaching staff and its current players. Furthermore, participants will be able to challenge themselves while learning high-level training methods. This program will take place at the Point Loma Nazarene University campus from July 29 until July 31. There are only 80 spots available. Additionally, this prep camp will accommodate both residential and commuter campers. Point Loma Nazarene University, initially Pacific Bible College, is a private, coeducational, Christian, liberal arts university in San Diego, California. It is an affiliation of the Church of the Nazarene. The university is also a member of the Council for Christian Colleges and Universities and the Council of Independent Colleges. Currently, it is serving around 2,300 undergraduate students and around 1,100 postgraduate students. It is offering more than 60 fields of study and is using a semester-based academic calendar. Point Loma Nazarene University is also one of the region’s best universities. In fact, it is 17th in Regional Universities West, 2018 edition of Best Colleges rankings. It is also 16th in the Best Value Schools rankings. Moreover, Point Loma Nazarene University fields 11 intercollegiate sports teams in the Pacific West Conference of NCAA Division II. They are the Sea Lions and their identity colors are green and gold. The Sea Lions women’s soccer head coach is Tim Hall. The -2018 season is going to be his 10th year at the helm of the university’s women’s soccer program. Coach Tim Hall is the 2014 and 2015 Pacific West Conference Coach of the Year. He is also the 2009 San Diego Union-Tribune Coach of the Year awardee. Then, the Point Loma Nazarene University women’s soccer assistant coaches are Amanda Schindler and Austin Mobley. 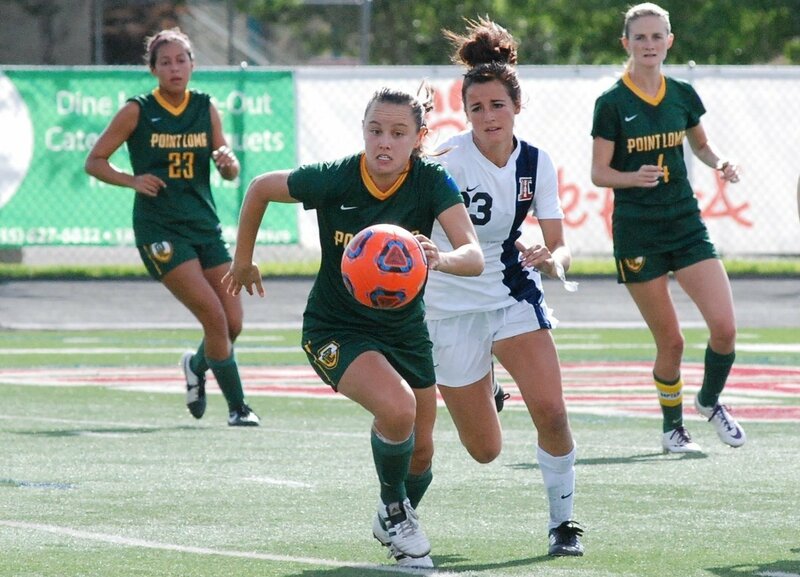 The Point Loma Nazarene University Women's Soccer College Prep Camp. Its goal is to allow the participants to display and improve their skills.